What’s your dream? Today I want to ask you to envisage a future where your one big audacious dream came true. Think about how you would feel? Consider how different the world could be? Imagine what your dream could do to benefit someone else? Many people wish for a happier workplace but only a few find it. And that is usually because most are chasing after the wrong things. If you are committed to giving yourself a better life which you deserve, learn 3 key life principles and see a breakthrough in your working life. Many turning points take place at events where people receive a fresh insight and make credible connections – May this event be such a one for you. WITHOUT having the advantages of growing up in a wealthy family or studying in tops schools or having friends in high places, Mr David Lee has still enjoyed a highly satisfying journey in the workplace that many would long for. After resigning from his position as a Group GM of a Holdings company with businesses in Travel, F&B, Maritime and Education, he has since been the Founder of a few start ups, a panelist evaluator for SPRING ACE grant and the President of the Association of Professional Trainers. He is also a mentor to entrepreneurs and managers, and have spoken to and trained tens of thousand of people in 7 countries. Have you ever experienced setbacks or failures in life? I’m sure we all have. But how can we change our perspective to see setbacks as setups for future success? 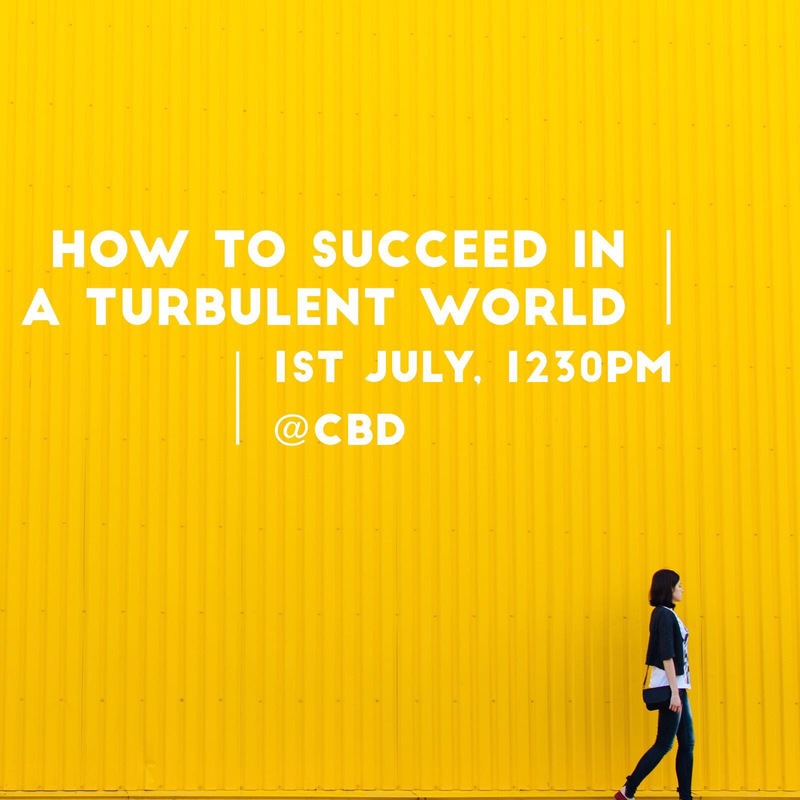 Come for our next seminar on 26 August, 1230pm to 130pm to find out! Since young, we study hard in order to succeed in life. But what happens when we meet unexpected failure? Eugene Seah had a smooth-sailing life, and won the prestigious SGX scholarship. After working for 14 years, he faced an unexpected roadblock which made him feel like a failure. From a senior executive in a multinational investment bank, he became nobody overnight, and began to struggle financially. Fast forward three years, and he is now living his dream, travelling around the world to speak, train and coach. What happened within these three years? What are the lessons that can be gleaned from his experience? What practical steps can one take to bounce back from failure? Don’t miss this thought-provoking and inspiring talk. Eugene Seah is the founder of Trainium Academy, and one of Singapore’s most engaging, entertaining and effective trainers specialising in personal branding, sales and leadership. He has been interviewed by various media including TV, radio and the newspapers for his insightful views. Eugene has over 15 years of experience in Leadership, Marketing, Communications and Personal Branding. 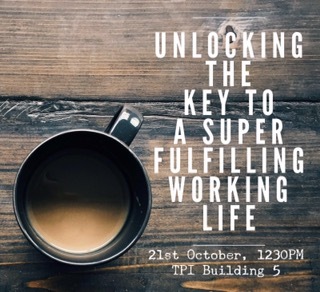 Having worked many years in multinationals and managed teams across Asia Pacific, he has a strong grasp of cultural differences and how to leverage on individual strengths to project powerful impressions. 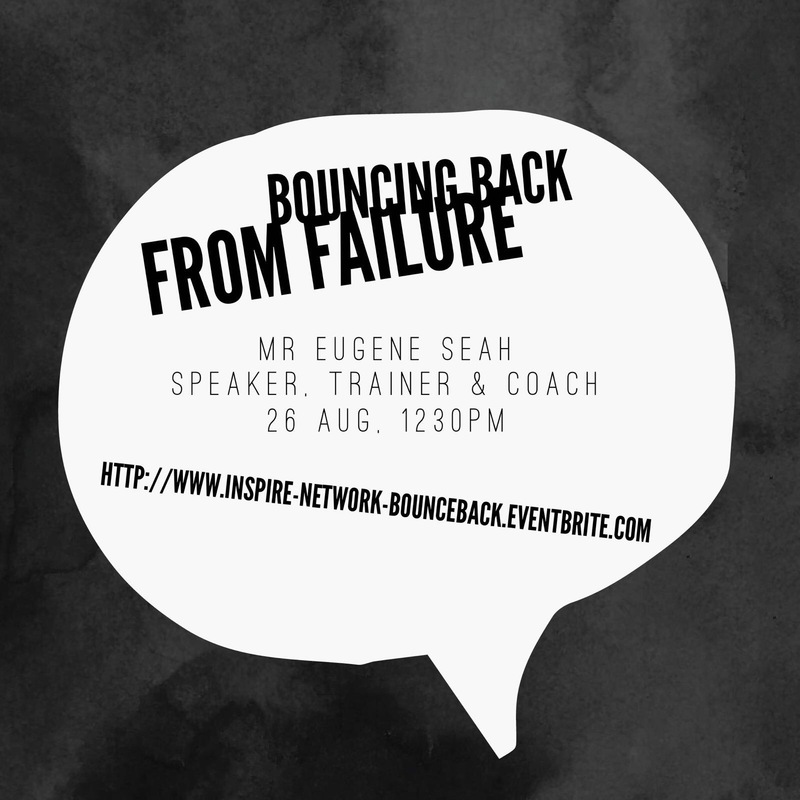 In the past two decades, Eugene has won several awards recognising his communication and leadership skills, and has often been invited to speak at major events and conferences, recently appearing on Channel 5’s Talking Pointas a panelist. Eugene has an Honours degree in Communications and is passionate in coaching others to communicate effectively. To find out more about Eugene, please visit: www.eugeneseahsg.com. For a complimentary ticket, please visit our Eventbrite page at www.inspire-network-bounceback.eventbrite.com. To register for a complimentary ticket please visit here. Like us on Facebook and Instagram (@Inspirenetworksg) for more updates! What happens when we step out of our personal bubble and see things from a less self-centred perspective? Everything changes. Hear from Robyn, a participant at our recent event with The Love-Aid Project who shared her thoughts after an informative session and an experiential stroll at Macpherson estate. “The Macpherson estate is one of the many places that I frequent with my family growing up, where I remember many fond childhood memories of eating along the long stretch of hawker stalls that is pretty well-known for its cheap and awesome food. All these years, I never gave much thoughts to the rows of flats that stood right across the road, given the fact that hdb flats like them can be found all across the island. What struck my family though are the vintage and retro appeal of the flats’ exteriors – once we even crossed the road just to take some family portraits in front of the pretty red tiles. The session with Love-Aid Project was an eye opening experience, which revealed to me a side of macpherson, and even of Singapore, that I never knew existed. It has never crossed my mind that people could be living in such dismal conditions in Singapore, and that so many sad stories are happening within (&even without) the pretty red tiled walls that were once the only thing that I remember macpherson for (other than food). Visit The Love-Aid Project to find out more. Want to join us for our next session? Follow us on Facebook or Instagram @inspirenetworksg for more updates. Have you ever wondered what your purpose in life is? Many people think about this question and many struggle to put their finger on the answer. Perhaps it is because we need to change the question. 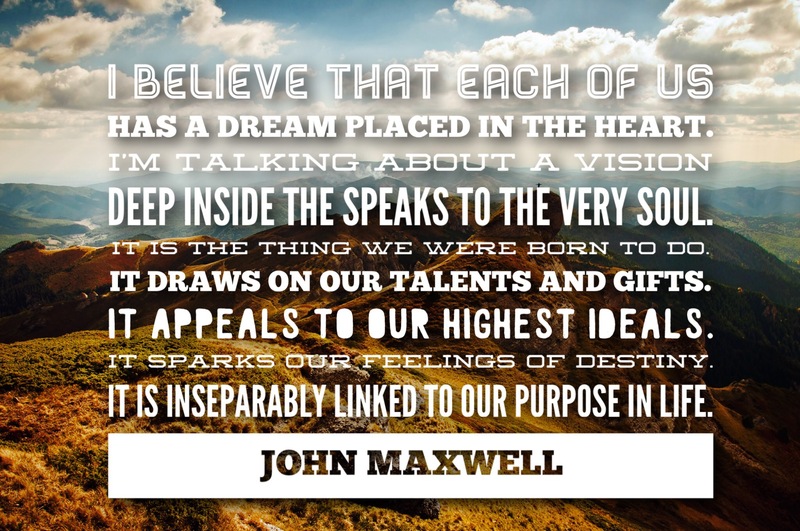 Often we see destiny and purpose as an isolated, personal pursuit. But this view misses out the fact that as humans, we were created for community. We actually need other people to come into the fullness of who we are meant to be! Evaluate your 5 closest relationships – do they motivate you to go further? Do they challenge you to go out of your comfort zones? Do they inspire you or create fear or complacency? Recall a time you were part of a great team – what was your greatest contribution or differentiating factor? What made you critical to that team? Something only you could really contribute. If you are working alone, consider how you can be part of a community that is already doing what you want to achieve. For example, a public speaker may join a Toast Masters Club. Find a mentor. Get someone who has the experience and wisdom you need for the next jump in your life or career and be willing to be open to their words into your life. For example, a young couple soon to get married would greatly benefit from meeting regularly with a successfully married older couple. May you find your destiny as you find your community! Many young people are now considering entrepreneurship for their futures. The opportunity to be your own boss, to strike out on your own is very alluring. So what does it take to succeed in your own business? In fact, even established businesses such as Citibank and DBS are wanting to learn how to flex and pivot like start-ups. Even if you aren’t looking to start your own business, there are key transferable skills and mindsets of entrepreneurs that we can apply in our jobs. With so much to learn, our next seminar on 22 April, 1230pm is a must attend! Mr Danny Lien is one of the founders of Amos International in 2004 and Managing Director of Amos International since then. He has spent close to 30 years in the marine industy. Having learnt the ropes of the trade from his father who was in the same industry, he continued his career in the marine industry as an entrepreneur, starting numerous successful joint ventures. Danny will share his experience on how he runs the business based on relationship, reputation, resilience, realism and recreation. Mr. Danny Lien holds a Bachelor in Business Administration from the University of Miami, USA, Masters in Business Administration from the University of Chicago’s Booth School of Business and recently completed the Owner President Management Program from Harvard Business School. Danny is also the winner of the Rotary-ASME Entrepreneur of the Year Award 2009 and an honoree of the Spirit of Enterprise Award 2010. He was also the Singapore Armed Forces Nsmen of th Year in 2012 and was the recipient of two State medals, the Commendation Medal (Military) in 2013 and the Long Service Medal (Military) in 2015. 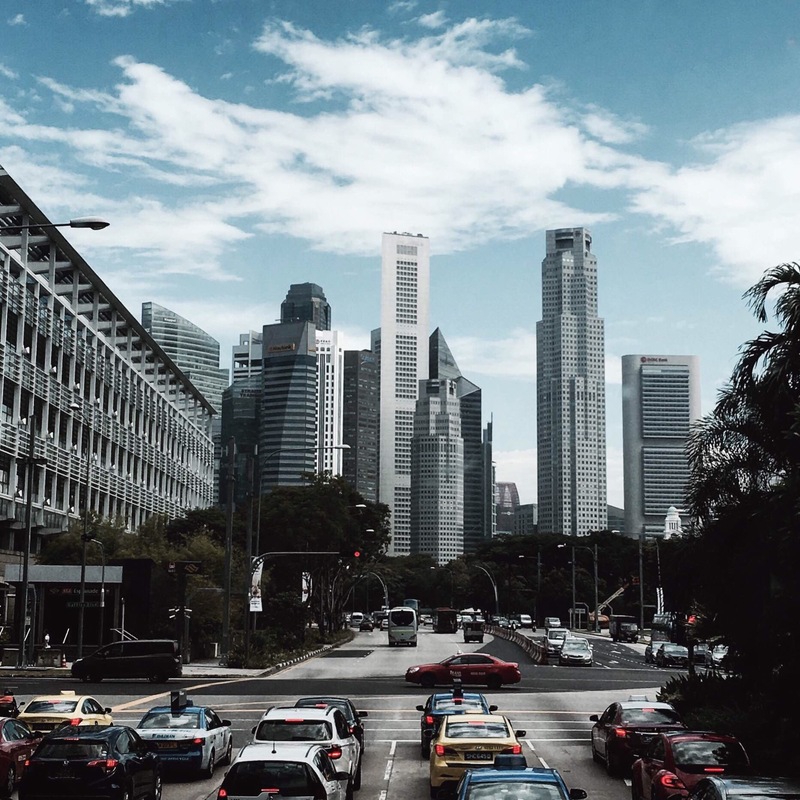 Danny is currently the President of the Singapore Association of Shipsuppliers & Services and the Vice Chairman of the Spring Singapore supported Business Leaders Alumni Club. 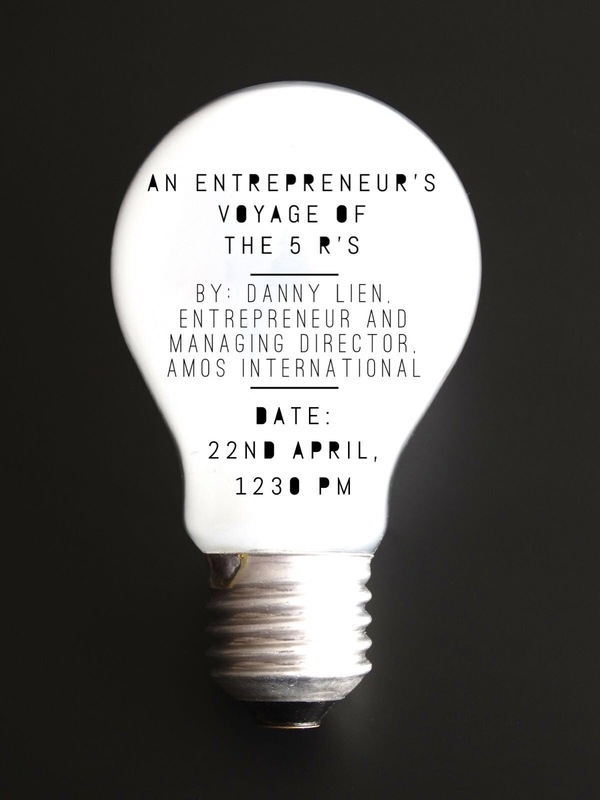 We look forward to seeing you on 22 April at 1230pm. If you have questions you would like to ask the speaker please email us at inspire.network.singapore@gmail.com. On a flight from the Gulf last week, I was watching a programme filmed at NASA. It documented all the challenges involved in getting a manned mission to Mars and back. The overall message was that even the recent Matt Damon film, The Martian, understates just how tough this assignment is. One segment in particular, caught my attention. A NASA psychologist was working on how you select crew members for a 3 year mission. As he said, this is a whole different scenario from the Apollo Missions to the Moon. Apollo astronauts were all Air Force fighter pilots, mostly who had also been test pilots, and they were universally super tough action men, who were going to get out and about on the moon, lugging rocks and driving buggies. And the longest mission (Apollo 17) was just twelve and a half days long, from launch to recovery. Now, I am not suggesting that you apply for a Mars shot. I suspect that would be an invitation to spend a lot of time being incredibly bored and struggling to stay fit, interspersed with moments of extreme peril. (For example, the atmosphere is too thin to slow your descent, but dense enough to require a heat shield; so simply landing people, alive and in one piece, is quite a challenge). I am, however, suggesting that you may be underestimating your options. Quiet bookish people don’t look in the mirror and say “astronaut!” – but according to this psychologist, perhaps they should. And maybe there is something you should be thinking about your future options that is a bit more out of this world than the way you have thought about yourself up until now. The subjects you studied, the educational path you followed, and the exam grades you achieved, are, in no way, manner or shape, any sort of guide to what you should be doing with your life. Education is hugely valuable. It teaches you to think and equips you with practical and mental skills which you can apply in a wide range of situations. It may be directly vocational. It does not, however, sentence you to follow a particular career path, nor does it set a limit to what you can achieve. Only you can do that. But why would you? So go on: what would your audacious Mars shot be? This guest post was contributed by Jon Mason. Jon is CEO and Principal Consultant of Elaura, a business helping MNCs to map and manage their talent, as well as founder of hoozyu, a programme helping young people to understand themselves better and make more sustainable life and career choices. Jon’s current clients include Coca Cola, Shell, DBS, RBS and Visa. He is from NZ, married to an English wife and with 4 children, born in Old South Wales, New South Wales (2) and Singapore. As a child we often dream the most amazing things. We see our future through rainbow lenses of hope and wonder. Some dream of being firemen or superheroes, some dream of being doctors or vets. Some want to be valiant knights or beautiful Princesses. Within every child is placed a seed of greatness and a desire for the more of life. Yet what happens when we grow up? Today I asked my younger colleague a question – “what do you see yourself doing in 20 years”? It was a challenging question but the response didn’t surprise me. She mentioned a particular role and position. I asked her why not aspire for something more, something higher. In a very typical Singaporean response, she said “huh, cannot la!”. Recently, the Human Capital Leadership Institute published a study called “HR Leadership Stall Points”. In it, they explored the reasons why the next generation leaders in regional HR functions weren’t making the jump to the top HR role. They identified five key stall points, but can you guess what was the main tripping point? Perhaps some would say opportunities or technical skills. Surprisingly that wasn’t the case. The top reason why people weren’t making the jump to the top role – Lack of Self Confidence! Somewhere along the way, we grew older but many of us stopped believing in ourselves and in our potential. If your 8 year old self spoke to you today, would he or she be happy with what you are doing with your life now? There’s a plan and purpose for your life because you were created with a sense of the eternal, a sense for the more in your heart. Don’t stop believing in yourself. If you have, start finding people around you who believe in your future and destiny wholeheartedly. If you’ve stopped dream, dream again. 20 years is a long time and you can do amazing things if you invest wisely. Don’t stop trying! 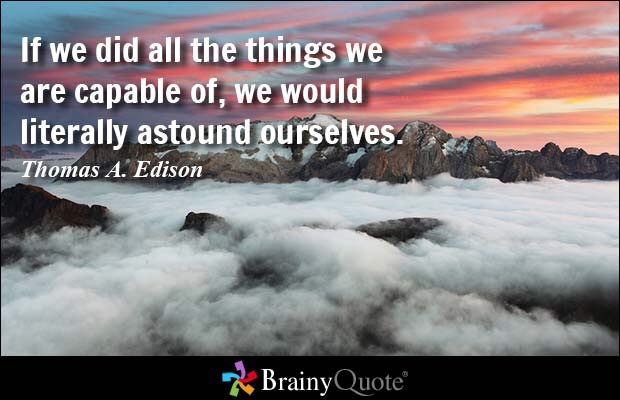 As Thomas Edison said “I’ve not failed. I’ve just found 10,000 ways that don’t work”. Believe in yourself, because we certainly do! Press on, enter into the fullness of your dreams and astound yourself!